All your “paperwork” – from intake to evaluation to purchasing a device – done via iPad or computer within the software. With Smartcare, you’ll eliminate tedious paperwork, streamline your workflow, and automate 90% of the patient management process. It all comes down to true data. It takes out all the guesswork. I no longer say ‘it’s not working’ because the numbers tell me exactly what is and isn’t working. 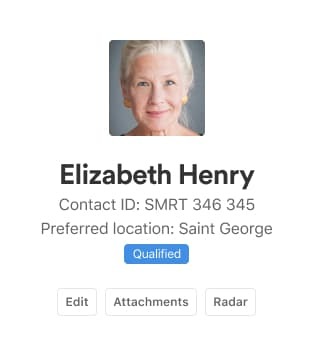 We’ve taught our software to navigate your contacts, detecting when someone needs to move from lead to qualified, scheduled to unscheduled, active to inactive, etc. As you work, Smartcare figures out where everyone belongs, automatically moving (or not moving) them through our process. Smartcare gives you quick access to complete, data-rich profiles for every patient: scheduling, forms, evaluations, notes, purchase agreements and more. Our diagnostic and procedure coding is built into the platform, which means there’s no delay between completing a purchase agreement and filing a claim. And because our insurance team specializes specifically in audiometry billing, your claims are filed quickly and accurately. NOAH integrated in-app-testing and evaluations. 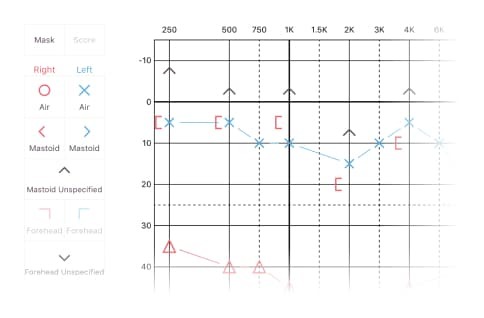 All the tests you need: audiogram, speech audiometry, tinnitus and familiar voice. Performed within the software, with results that become fully searchable, comparable and neatly stored in the patient's profile. Our integrated fee schedule allows you to set prices for the services you offer. This consistency allows you to plan ahead for profitability, quickly populate purchase agreements, get insurance claims started faster and build a culture of trust with your customers. 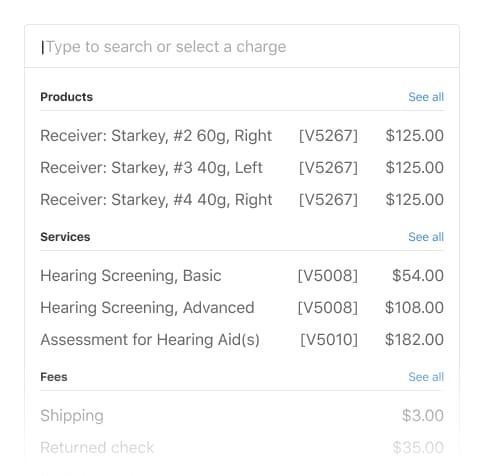 Our robust bank of hearing-device data allows you to sell any product available with the click of a button – making purchase agreements a breeze! 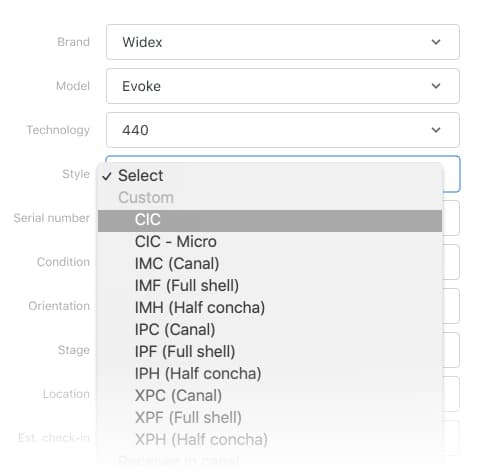 Our system knows every attribute available for every model produced. Need to fit a product you aren’t familiar with? We’ve got you covered. Smartcare has allowed me to track the success of my hearing practice on a daily basis, know the status of all my patients, and track how successful my marketing campaigns have been like never before. With so many options, it’s hard to remember who’s using which hearing aid features, let alone the accessories to go with them. Now, with a simple click, you can ensure patients receive the right batteries, filters, earbuds, etc. You’ll also have a better idea of what works and what doesn't when it comes time to upgrade. Clear your mind, with tasks. A task in your mind, anxiety. A task on a sticky note, lost. A task in Smartcare, done. Create lists for the work you need completed; assign items and set due dates – we’ll take care of the follow-up. Smartcare is more than just software. From insurance billing to analytics, it has made it possible for me to do things that would otherwise be impossible for a practice of my size. At a glance see brands, level of technology, new, used or reconditioned, total sales, and what really matters – your actual profit. What once was a multi-step process that started with exporting CSVs and ended after hours of frustration is now as easy as 1. Click “print statements.” 2. Insert into a window envelope. 3. Stick in the mailbox. Welcome to Smartcare. 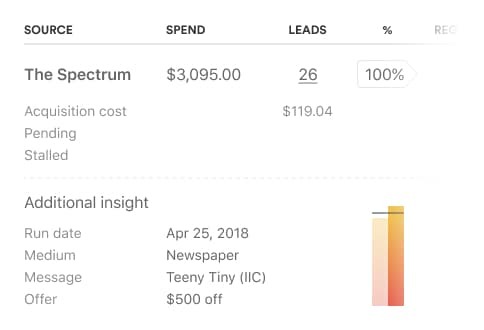 Full story on marketing spend. Insight that allows you to transform your marketing budget from a slot machine to an investment strategy. We provide the information you can't find in any other hearing management software, literally.